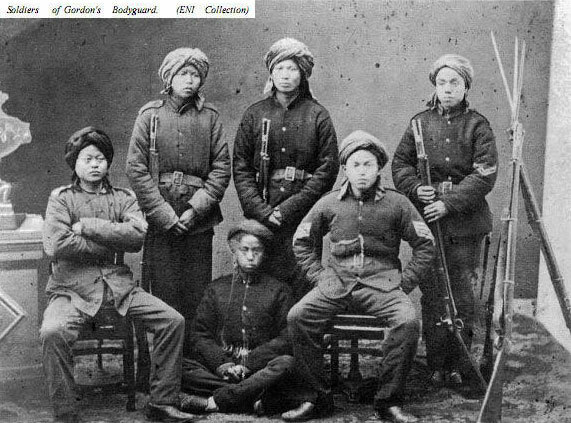 North America was not the only place roiled by Civil War in the early 1860s – China was undergoing its own civil war in the eastern provinces around Shanghai, known as the Taiping Rebellion (1850-1864). The rebellion climaxed in the years 1860 to 1864, and featured an American as a key general on the Imperial Chinese side: Frederick Townsend Ward of Salem, Massachusetts. Frederick Townsend Ward was born in November 1831, the son of a ship captain. He attended Norwich for a semester, served several cruises on clipper ships to China, fought in the Crimean War with the French Army, and was a part of William Walker’s filibuster army in Mexico. In 1859 he arrived again in Shanghai, where the Taiping uprising against Imperial China was intensifying. The 29-year-old Ward saw his chance. In 1860 and 1861 he recruited and took command of the Shanghai Foreign Volunteer Corps, a company (later battalion)-sized unit of infantry made up of expatriates from Shanghai. After suffering some reverses, and being wounded in the face himself, Ward decided to augment the foreign contingent with Chinese volunteers under the pay of local governments. The Imperial Chinese government gave him general officer’s rank in the Chinese Army. Ward and his American Chief of Staff, Henry K. Burgevine, soon recruited and equipped a force eventually totalling 5,000 infantry, artillery, and engineers. Aside from a cadre of Western mercenaries and a detachment of Filipinos, the majority of troops were locals. The Chinese wore western-style uniforms, used American drill, and were equipped with British weapons. Ward named his formation the Ever Victorious Army. After training much of the last half of 1861, in January 1862 the Ever Victorious Army went into action. The force lived up to its name, as discipline and modern weaponry proved decisive against the Taiping rebels who had no answer. Ward led 500 of his men into Gungfulin, capturing it from it’s 20,000 defenders. In February 1862 Ward held the fortified town of Songjiang with 1,500 men against a force of 20,000, driving the attackers away with artillery fire. Ward then went on the offensive, even creating a small fleet of gunboats to support his troops, and won a succession of victories over the spring and summer. General Ward’s career came to an abrupt end on 21 September 1862, when Ward led his Ever Victorious forces against Taiping positions at Cixi, a town near the major port of Ningbo. As always, Ward led from the front. He was shot in the abdomen and died the next day, two months shy of his 31st birthday. Frederick Townsend Ward, an American-born Chinese general and veteran of over 70 battles, was buried in China, in a grave that has since been lost. A cenotaph in Salem remembers him, but otherwise he has been largely forgotten. Top image: Eastern China in the 1860s. 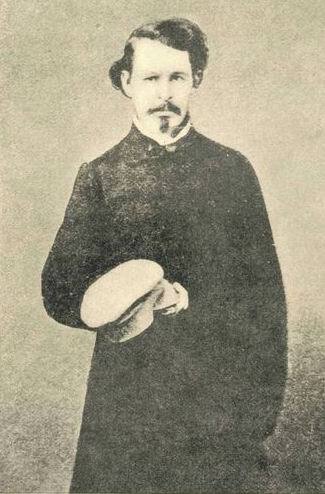 Ward fought in the area between Shanghai and Soochow (Souzhou), and was killed outside Ningpo (Ningbo). Bottom left: Frederick Townsend Ward in 1861. The cast to his moustache and left side of his face is the result of a facial wound suffered the year before. Bottom right and far below: Infantry and artillery of the Ever Victorious Army. 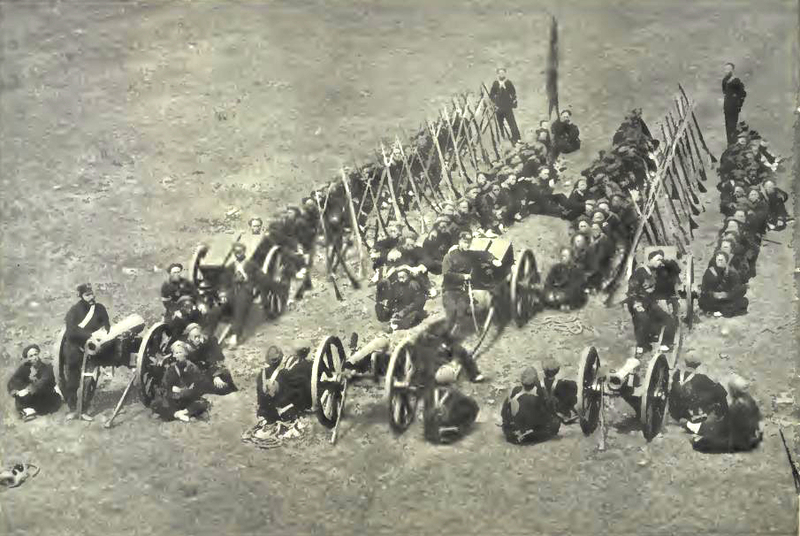 This entry was posted in Armies, Arms & Armaments, Battles, Leadership--Federal, Personalities, Sieges and tagged China, Chinese Gordon, Crimean War, Ever Victorious Army, Filibuster Army, Frederick Townsend Ward, Henry Burgevine, Massachusetts, mercenaries, Ningbo, Norwich University, Philippines, Salem, Shanghai, soldiers from Massachusetts, Taiping Rebellion. Bookmark the permalink. Great out of the box entry. Thanks for posting. When I talk to people about this I get a blank stare. Millions died during the course of this conflict which started in 1850’s also saw the Opium wars with Britian thrown in. I highly recommend “The Devil Soldier” by Calab Carr, story about Frederick Townsand Ward, and ” Autumn in the Heavenly Kingdom” by Stephen R Platt, good general overview. Thanks, Bob. In China this is far from ancient history.